Happy new decade! 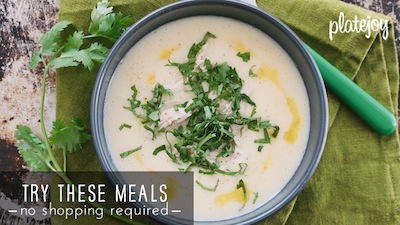 I have a great feeling about this one and since I am always scheming on how to push the boundaries of low sodium cooking, I have a lot of fun low sodium projects ahead. The last weeks of 2009 were filled with a host of low sodium feasting and as promised, these next few days will be spent recapping each delicious bite: low sodium tamales, low sodium Chinese chicken salad, low sodium dream bars, low sodium gumbo. They are all coming your way and will blow your mind in due time. But to kick us off, I am going to start with something simple. Something homey. Something that will make your mouth water. I present to you finger lickn’ fried chicken. It is true. In my mind, nothing can beat the thick, crispy exterior followed by the even more satisfying, creamy, juicy bite of chicken. It is texture and flavor at its best and all on a drumstick. Food doesn’t get much better. But many restaurants that serve fried chicken have salt in their “secret spice” or use buttermilk to make it extra moist. And sadly, both ingredients are high in sodium. 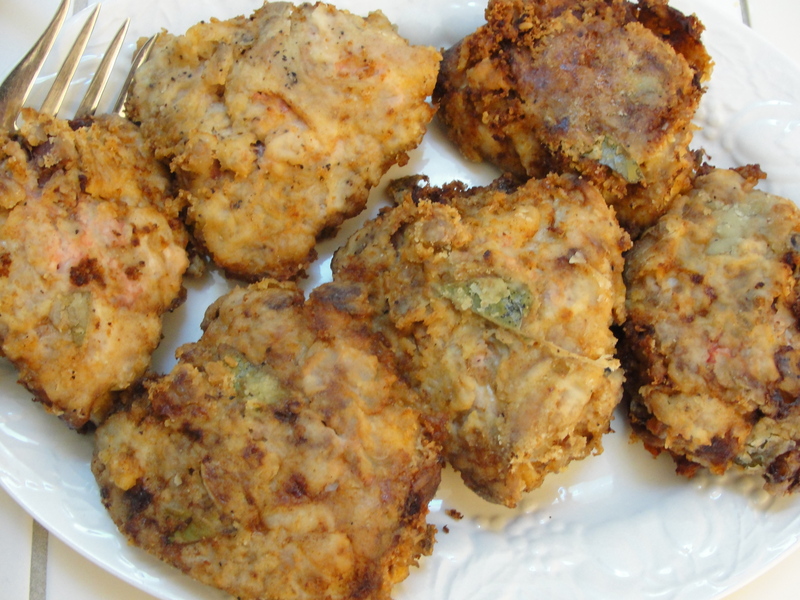 So to satisfy your cravings for this crunchy, tender treat it is best to attempt the Kentucky fried fix at home with a few low sodium substitutions. you can achieve the same flavor with a fifth of the sodium content. Now enough chatting. Let’s get frying. 1. In a large bowl whisk together garlic, bay leaves, paprika, olive oil, vinegar, pepper, cayenne, turmeric, and lemon juice. 2. Add chicken to marinade, cover, and let soak for 24 hours in the refrigerator turning the pieces 3 to 4 times. 3. The next day, when ready to get cooking, fill a deep bowl or sturdy brown paper/plastic bag with the flour, paprika, pepper, cayenne, turmeric, and cumin. 4. Dredge the chicken in flour, shaking off excess. You can do all the pieces at once or one at a time – depends on how much patience you have. 5. Heat canola oil over medium-high heat. If you have a thermometer, it should read between 320 and 340 degrees. If you don’t, use the oil spit test and fling a little flour into the pan. If it spits at you it is ready. 6. Add chicken pieces and fry about 10 minutes on each side or until browned. 7. Drain on paper towels, serve warm, and chow on. mmmm, that looks delish. i’ll have to try that this week! I too love fried chicken more than anything in the world. I could eat it every day. I never thought I could make great fried chicken without salt but of course I can! I sometimes soak my chicken overnight in olive oil and lemon and then coat just as you said in a brown bag with a mix of flour and delicious salt free spices. Smoky paprika is great. Garlic a must! I don’t even miss Popeye’s anymore! Hi Karen, I am so glad you like the recipe. 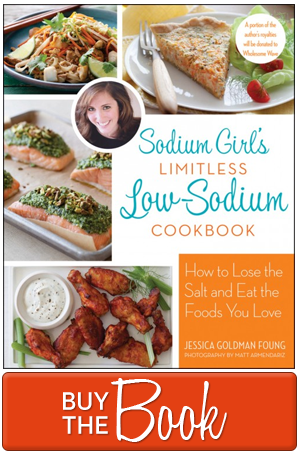 It sounds like you have tried cooking low sodium meals before. What is your favorite flavor enhancer to use? I’d have to say lemon. Real lemon – both juice and zest. Fresh garlic, onion, rosemary, cilantro to name a few. We also enjoying cooking with lots of HOT so my fresh jalapeno bill is pretty high! Ground chipotle peppers. A small red hot chile pepper bush that sits in my kitchen window and is still blooming even though it is 3 degrees today! Oh my goodness, I am a spice freak as well. My mother, however, cannot eat peppers and although it adds an additional challenge to my cooking, it forces me to think beyond my go-to, flavoring tools and practices other techniques. Are there instructions for how to do this by oven baking as opposed to frying? Frying is just too much work and messy, plus, well, it’s a pain. Anyone tried baking? Does it come out tasting as good? Hi Andrea! I hope this response reaches you before you make your chicken. Here are two options for you for less oil-splashing, spillage, and shenanigans. The first is Mark Bittman’s version that uses very little oil. Just follow the frying instructions. Then, the other option would be to stick your coated chicken on a baking sheet, spray with PAM or other cooking oil, and cook it in the oven at 400 degrees for 30 minutes. I haven’t tried this yet, but I think it would give your bird a nice crispy, crust. You can also always flip the chicken over, right before serving, and turn the broiler on low for 2-3 minutes. Just watch it carefully. You want them fried, not burned. Super Friday Post: My Love of Genealogy!